In front of a record setting 7,000+ audience, Adobe’s CEO Shantanu Narayen took the MAX stage, pausing to celebrate the work of the designers, developers, engineers, and all that made the mesmerizing introduction possible. And just like that, the greatest conference for creative was off to a start. Narayen continued stating that the ‘creative cloud is going to be a single stop shop for everything you need to be creative,’ to allow you to ‘access the inaccessible and imagine the unimaginable’ and to create experiences that work as flawlessly as they are beautiful. SVP & Creative Cloud Manager, Bryan Lamkin took the stage next claiming that ‘the role of the creative professional is changing to be more central and more critical’ and with that he asked that the audience keep in mind 3 key trends throughout the conference. Design is paramount – Quality design is the most important differentiator in the customer experience. It is not enough to deliver the right functionality, but your design must inform and delight consumers. Multi-screen world – Consumers expect to be able to interact with content when and where they want; from print to web, from desktops to mobile devices. Personalized experience – The experience must be tailored to their needs, regardless of when, where, or how consumers are interacting with your content. Lamkin then shared an idea that Adobe calls content velocity – aka being able to keep up with the high demand of consumers wanting new and innovate content. But having the best tool is not enough to keep up with the demand. ‘You need tools that will let you work together with an intuitive understand of who you are, what assets you are trying to deploy, and the workflows that actually help you get your job done.’ The goal of the creative cloud is simple – allowing you to focus on your core mission – being creative. Tweet for Good – Adobe announced that for everyone that tweets using #AdobeMAX when Lee Hirsch is on stage they will donate $5 to The BULLY Project – A project with the purpose to put an end to bullying in America. Project Animal – A new animation software from Adobe and Microsoft that combines touch screen technology with Adobe innovation. It will remove the idea of ‘to add animation’ you must have a Mac desktop stigma and make it more accessible for ‘on-the-go design’. Oh yeah and the big Oprah moment when all conference attendees got new Fujifilm digital cameras. 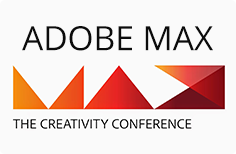 ‘Great content has always had the power to move us all’ but when combined with the power of great innovation and creativity great content can invoke emotions and inspire people, and it is that guiding principle that is the heart of what the Adobe MAX Conference is trying to do. Tell us what you thought about Day 1 and what you are most looking forward to from Day 2.